Each company submitted two events for ACE consideration. Here is a look at the two events that elevated Space Center Houston – Sodexo in the category of finalist, Events West Under $2 Million in revenue. 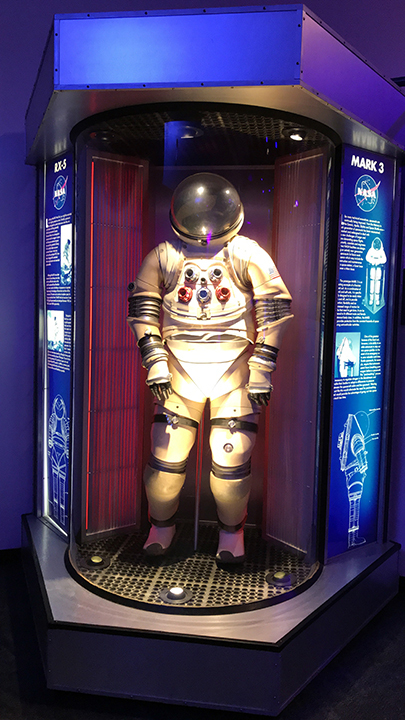 For the very first time, the Apollo 11 spacecraft was on display in a place other than the Smithsonian, and was also coupled with the 25th anniversary of Houston’s Space Center. To celebrate, the Sodexo team pulled off an out of this world event for invited guests and dignitaries—which included Apollo 11 astronauts. One of the most catastrophic hurricanes in its history, Harvey, hit the Texas coast on Aug. 25, 2017. The bay area of Houston, home to the Space Center, took a lashing. The Apollo 11 event happened a just a month after the storm came through and the region was still recovering. Resources and staffing were in shorter supply than usual as many residents had left the area and were still in shelters in neighboring towns. Sadly, recalled Julia Taylor, Senior Marketing Manager, many on the Sodexo team at the Space Center faced the loss of their homes and belongings—which was a rallying point for other staff. Donations came in from all over the country to be sure the families had clothing, bedding, furniture, and food. Despite the resource and staffing challenges, the team still pulled off a flawless event. Executive Chef Larry Arguello put his passion for being creative to work by planning a menu that embraced the produce and delicacies of the region. His menu featured local, sustainable gulf shrimp, snapper and crab from one state over, Louisiana. Chef Larry took his artistic interpretation to the next level by actually building a “moon crater” exhibit in which to display his seafood station. Guests enjoyed passed appetizers, featuring Texas wild mushrooms and local brisket, a risotto station, and a gorgeous display of hand-crafted desserts. The team procured a selection of craft beers with space-themed names, such as Space Cake and St Arnold’s Endeavour IPA. 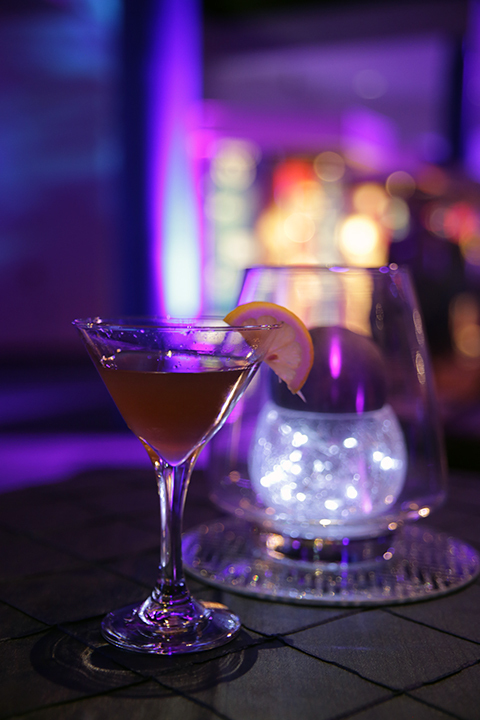 A signature cocktail called the Sea of Tranquility was a favorite of Michael Collins, Apollo 11 Command Module Pilot. Amber Dickerson, Sodexo Catering Manager, took on all of the event production details from designing a dramatic reveal of the exhibit, the lighting, selecting the music, table furnishings and linen, making handmade table centerpieces, and overseeing the catering set up from start to finish. While it isn’t typically the job of a catering manager and chef to also take on event production, Amber and Chef Larry embraced the challenge. 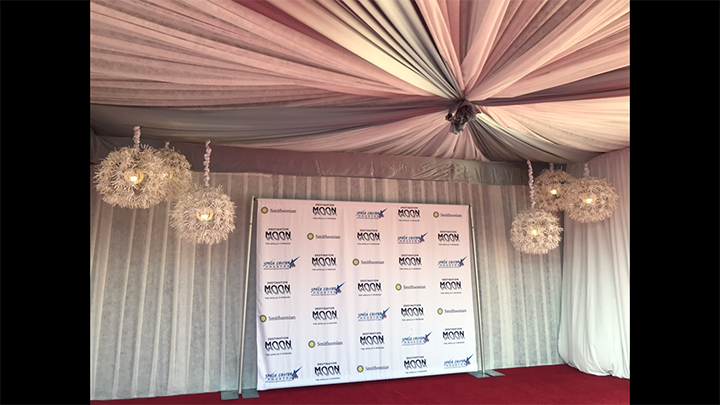 The team transformed a back-maintenance entrance into an exquisite “red carpet” experience complete with a step and repeat for photo opportunities. Guests were wowed—dare we say, over the moon—even before they entered the event. Interested in submitting an entry for the 2019 awards season? Entries into ACE’s 2019 award program are now open! Click here for the latest information on the 2019 conference & tradeshow. The Lamborghini Festival is a three-day event that gathers exotic car owners and lovers for a weekend of all things Lamborghini, which also wraps in a charitable cause to support children who are fighting their way through cancer. The Space Center was a perfect location to host such an event. Visitors pulled up to the Space Center and were greeted by a fleet of Lamborghinis and spokesmodels, including Miss Houston Latina. Once inside, the Space Center was transformed into a museum for similarly equipped vehicles, but these with wheels rather than rockets. 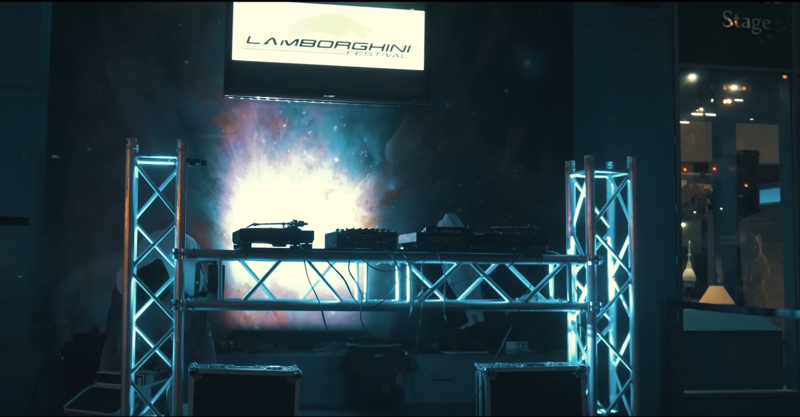 A DJ deck was illuminated with a backdrop of one of the Space Center’s galaxy images and cool blue lighting gave the room an ethereal vibe. One of the largest challenges, noted Julia Taylor, Senior Marketing Manager, was pulling this event off the two days after the Apollo 11 event took place. 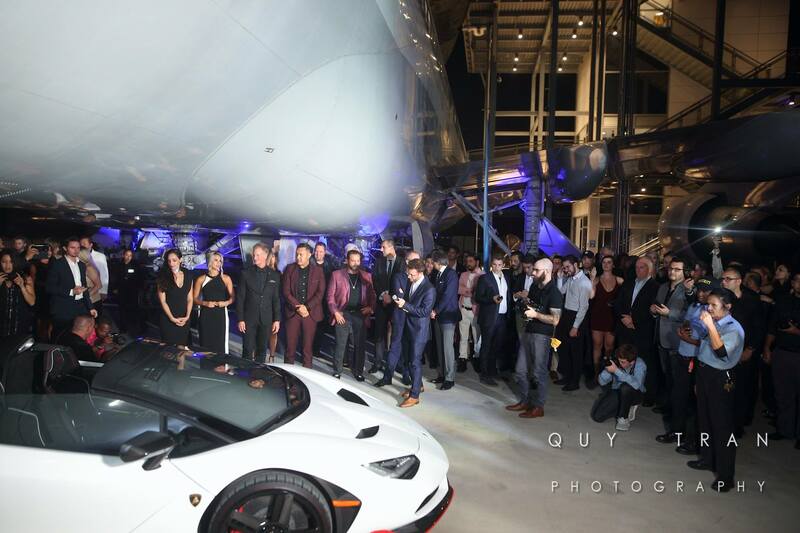 “The team was pretty taxed getting ready for possibly one of the largest debuts the museum has ever hosted with Apollo 11, but they quickly turned their focus to the Lamborghini event and pulled it off flawlessly,” she said. Also, sticking to a tight budget was a challenge the team was up to as they all recognized the importance of maximizing fundraising donations. 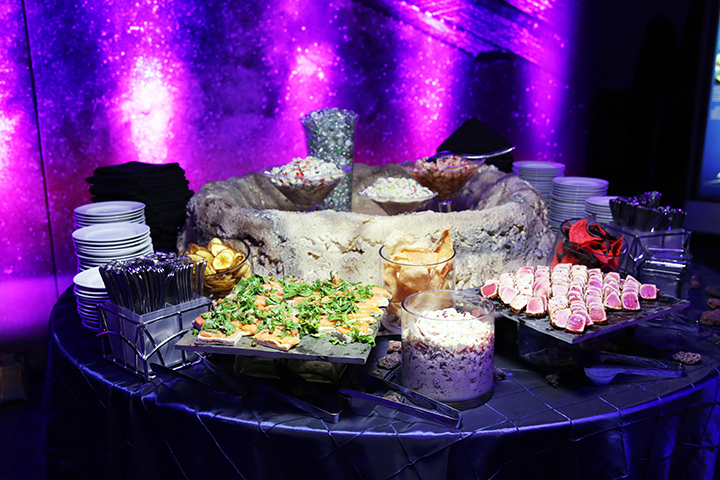 Chef Larry and the catering manager worked creatively to pull off a memorable event that honored the client’s desire to keep costs at a low, while delivering a high-level experience for their VIP guests. Chef designed a menu that included four stations of hors d’oeurves that were savory, filling, and beautifully displayed. Displays of sliced cured meats, imported and domestic cheeses, marinated olives, eggplant caponata served with flatbread, and crostini pleased the savory taste buds. 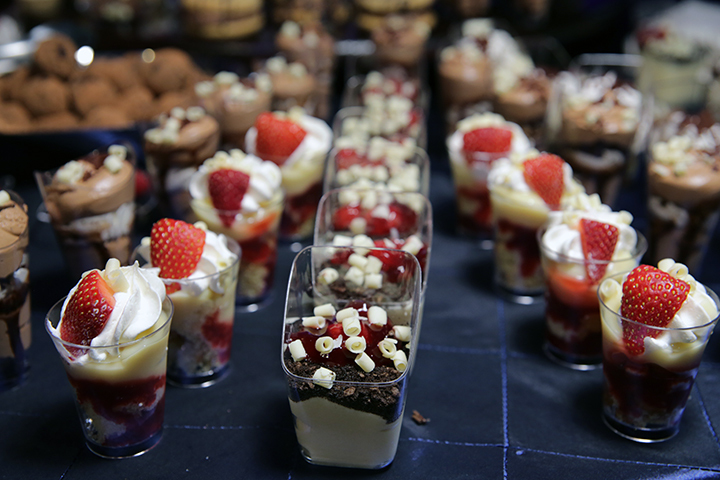 For the sweet tooth, there were displays of house-made desserts that included everyone’s favorites such as cookies, brownies, and blondies. The team designed a runway for a fashion show whose models were all donors for the cancer charity. A runway was created utilizing an existing stage and the team pulled in a little “space fashion” by flanking the stage with Astronaut suits from the Apollo era. 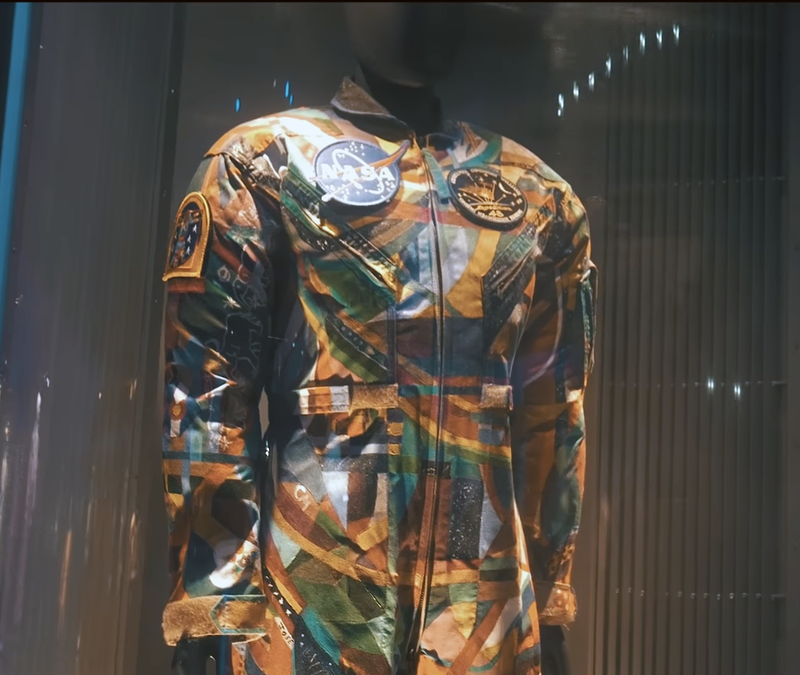 Two additional, very special astronaut suits were on display were the “Art Suits.” These were hand painted by children with cancer, sewn together by NASA technicians, and then sent to the International Space Station to be worn by astronauts to raise awareness of childhood cancer. 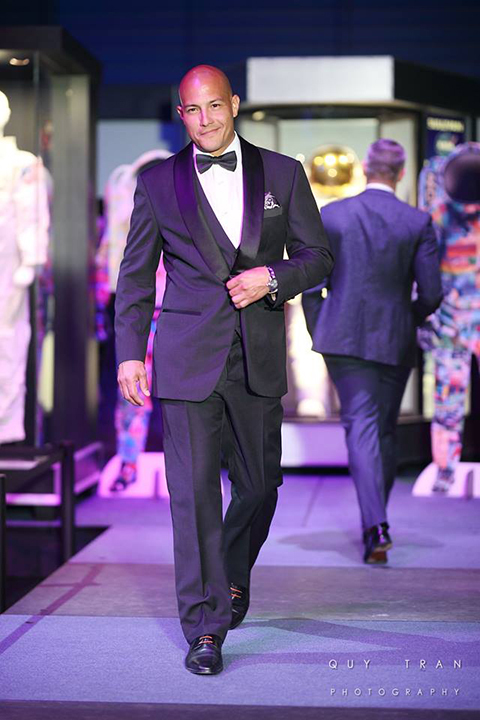 It was a perfect tie-in for a fashion show at Space Center Houston for children with cancer. Finally, guests then enjoyed a Cigar and Tequila bar under a plane before heading home in their Lamborghinis (with a designated driver, of course). 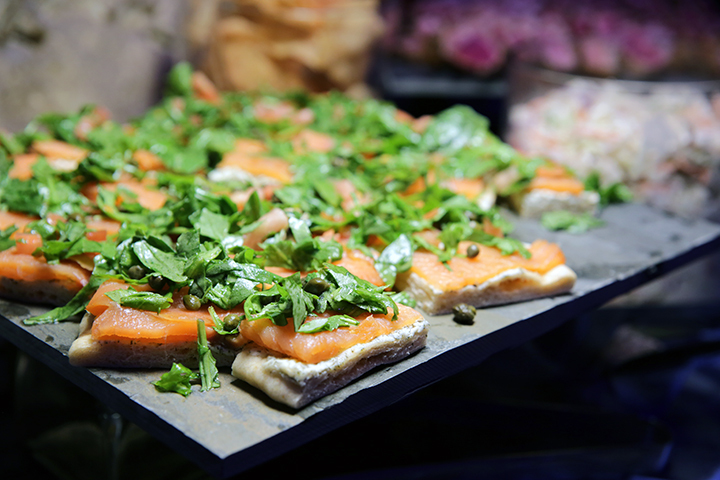 Click here for information about Catersource and the Art of Catering Food 2019. Registration is now open!